Don’t mess with a ginger! I went upstairs to my orange hair, freckle face olive shoot’s room. It was dirty in a 16-year-old guy kinda way. While complaining that he needed to clean it, I spotted this. Gingers aren’t known for being subtle. We gave each one of our olive shoots their very own can of their favorite freeze-dried fruit for Christmas. (They also received other gifts, btw!). 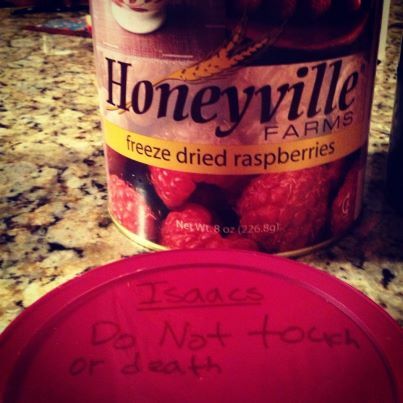 Ike, known as our very feisty ginger, didn’t mince words about his raspberries. He’ll kick YOUR can if you touch his! Here’s a link if you are looking for a “memorable” gift idea! If you want to try a bunch of freeze-dried fruit. I have a box of these tucked away in the garage. Please tell no one. If you want to try raspberries. 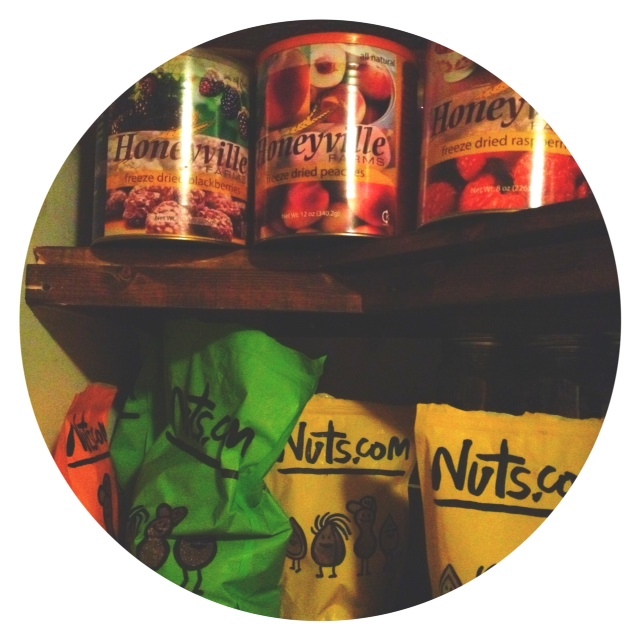 A peek into my pantry. I love both of these companies and will blog about nuts.com soon! If you dare, try these freeze-dried pineapples in your house. They are tangy and delicious, totally addicting! Fire-like hair, fire-like attitude! That’s probably the reason there’s only one of us in my house! I know, right! We only have one, I don’t think I could survive with TWO! They/you are a wonderful bunch but WOW!!! I feel like I need to try these. They must be pretty good if Ike will kill for them. They are and he would. Just sayin,’ you’ve been warned!